Originally owned by Maine farmer and artisan James Nash, the Cooper Shop is crowded with tools, casks, kegs, and pails. 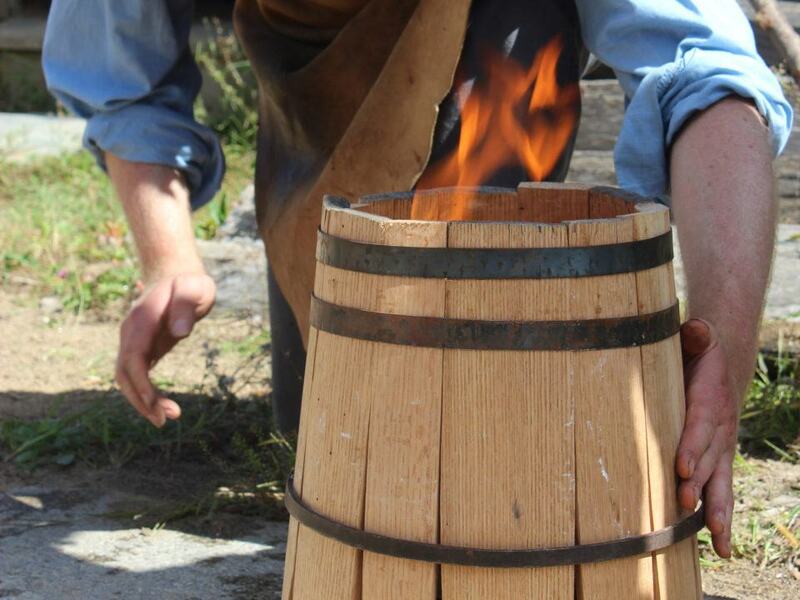 Coopers, or barrel makers, practiced their trade on a seasonal cycle. In the winter, they cut and hauled wood for stave stock and stacked it by the shop to dry, choosing different woods based on the goods that would be stored inside each barrel. From late March until June, coopers did farm work and made and repaired dairy containers that had shrunk or been damaged over the winter. During the summer, they worked in the fields. But at harvest time, they made barrels to store and transport grain, apples, potatoes, meal, flour, freshly pressed cider, and salted meat.